It’s no secret that the internet has improved the way we research nearly every purchase we make. When you’re looking to make a large investment in a new Acura vehicle, our Eugene dealership is here to help you dig into the numbers involved in your purchase. In fact, one of the best ways we can help you is by sharing what we know about researching trade-in value prior to buying another vehicle. Trading in an existing vehicle is one of the most common ways that drivers can save money during their purchase. When you trade in your current vehicle to the dealership you are purchasing from, you are able to apply the value of the old vehicle to the balance of your new purchase. Perhaps this is the first time you’ve ever considered trading in a vehicle. 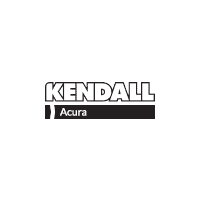 It can be difficult to know what your vehicle is truly worth and therefore how much you can expect to receive from the financing department at your local dealership, Kendall Acura of Eugene. If you need some guidance, there are plenty of resources available, and some dealerships in our automotive group utilize Black Book®to help customers research their trade-in value before visiting the dealership to go through with the big swap. Black Book takes in all available information on your vehicle, including year, make, model, condition, and mileage. You may need to check a few boxes indicating the specific features of your vehicle to help them gauge the true value. Then, simply enter some contact information where you will receive a copy of the estimated value that the tool returns online. Afterward, you can head into our dealership to confirm the price and begin searching for your next car. Our Acura dealership’s finance center staff can’t wait to help you navigate the process. 0 comment(s) so far on Value Your Trade-in Vehicle and Make a Smart Swap!